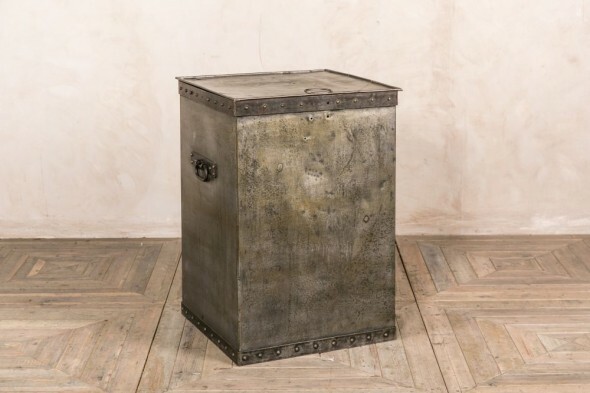 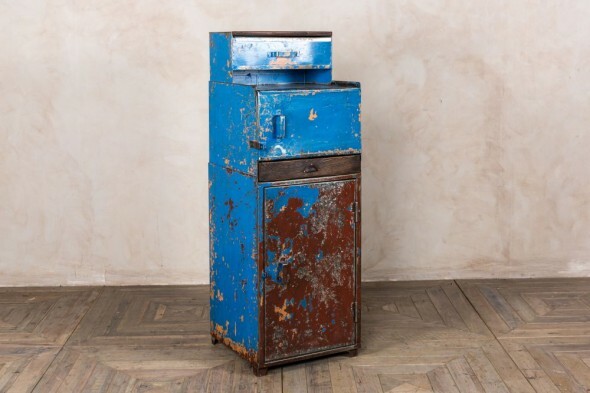 Bring industrial style to your home or business with this metal locker cabinet. 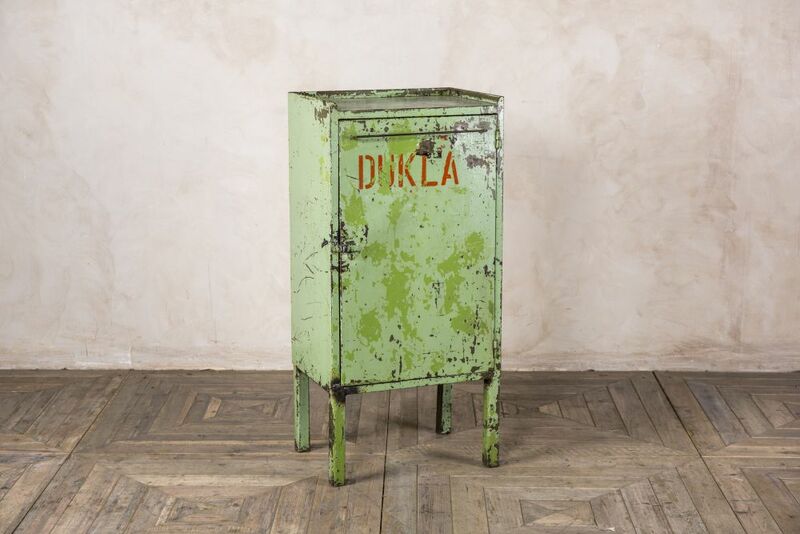 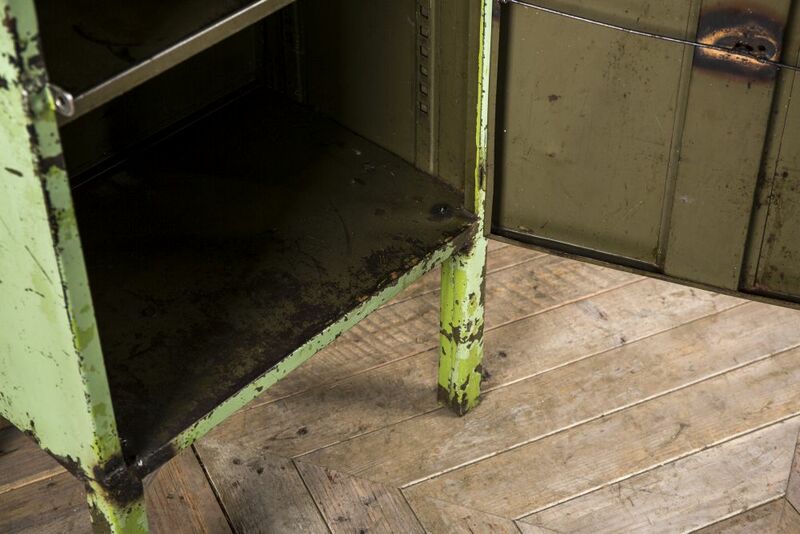 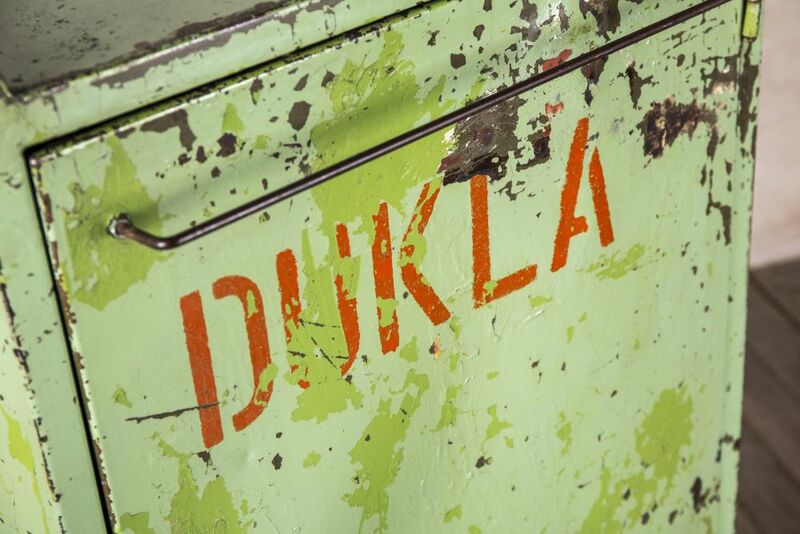 The cabinet has been reclaimed from a factory and still features its original green paintwork. 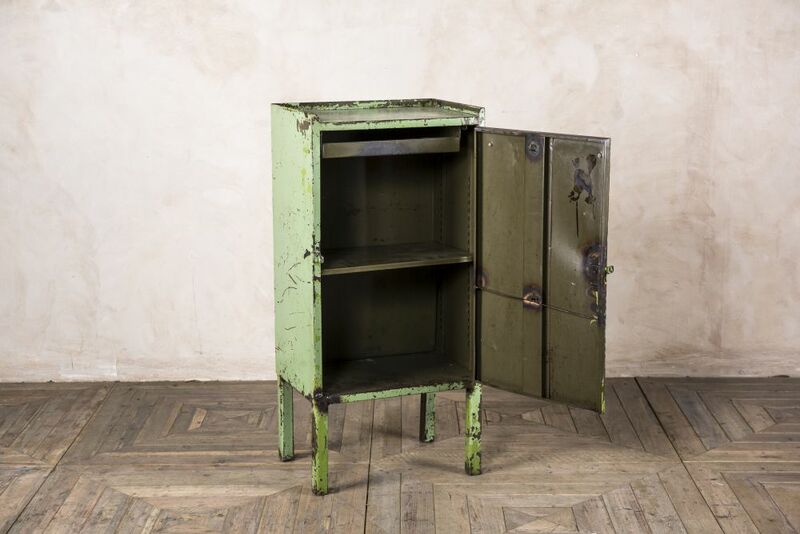 It could be used as a quirky feature in a home, and it offers plenty of storage space. 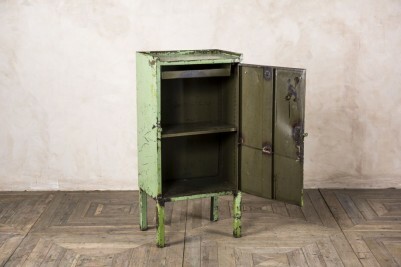 Alternatively, it could be used as a host stand in an industrial style bar, restaurant, or bistro. 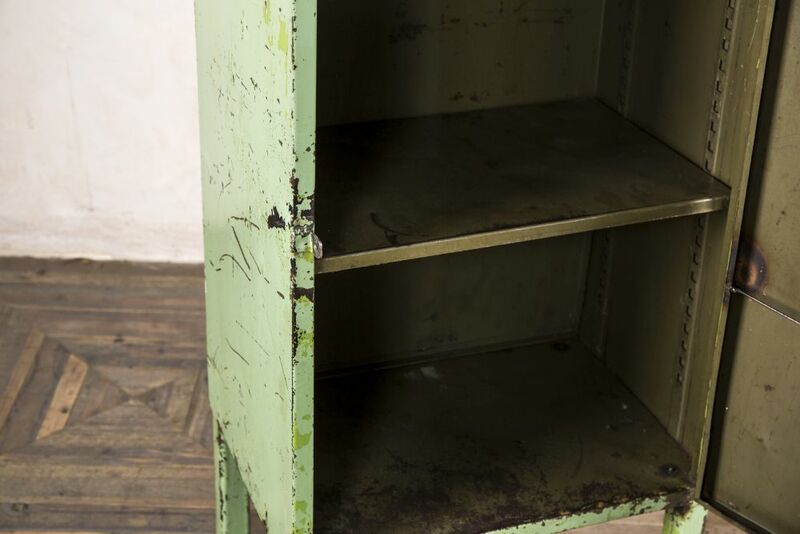 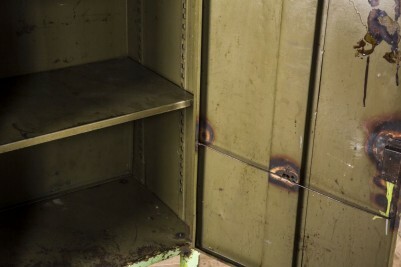 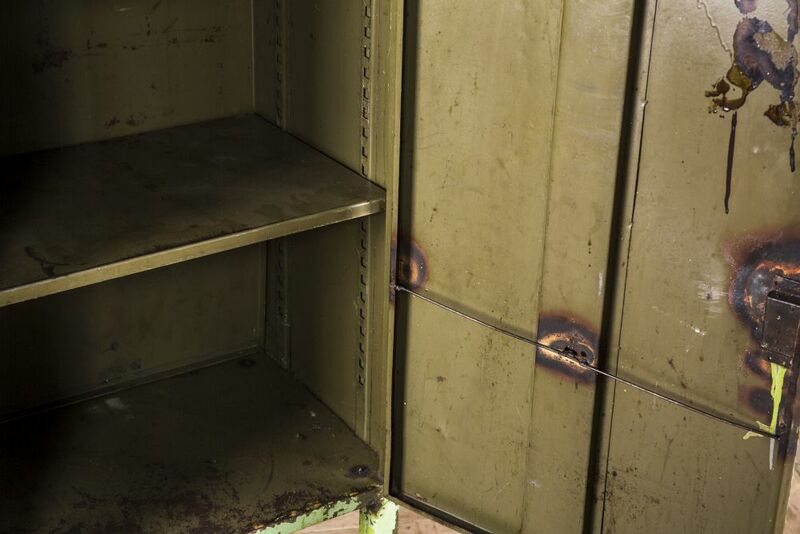 As the metal locker cabinet is an original vintage item, please allow for signs of wear and tear. 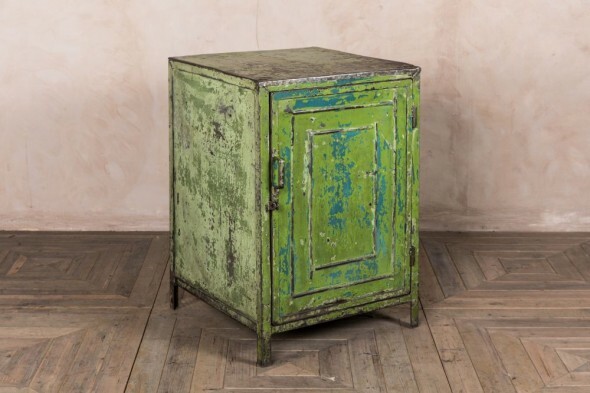 We feel that the distressed paintwork only adds to its industrial charm.